Wolf Commercial Real Estate is a premier Trevose commercial real estate broker that specializes in representing Trevose office space for buyers, sellers, owners and tenants. We are the experts in Trevose commercial real estate services, matching buyers with sellers and tenants with investors of available office space in Trevose and elsewhere in Bucks County. The team at our Trevose commercial real estate brokerage firm helps clients and prospects achieve their real estate goals by providing ongoing detailed information about currently available office space in Trevose. As the foremost Trevose commercial real estate broker, Wolf Commercial Real Estate embodies the highest quality of Trevose commercial real estate services and proven expertise in Trevose and the surrounding area. The Trevose commercial real estate brokerage firm of Wolf Commercial Real Estate uses a unique, defined marketing process that we customize for each property to help owners sell or lease their Trevose office space. This highly successful marketing strategy works effectively to match buyers and tenants with available office space in Trevose. 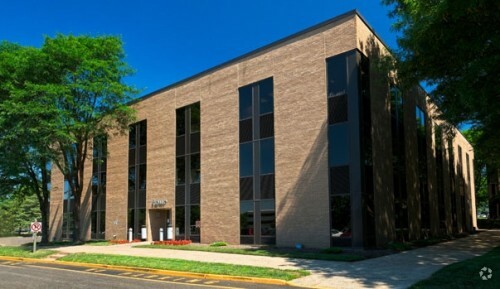 For companies and individuals seeking new office space in Trevose or in other Bucks County communities, the team at our Trevose commercial real estate brokerage firm can identify the Trevose office space that best suits your commercial real estate needs. Then, our experts in Trevose commercial real estate services will review the sale or lease terms for your new office space in Trevose to assure that they complement your commercial real estate goals. For more information about Trevose office space for sale or lease, please contact the team at Wolf Commercial Real Estate, a Trevose commercial real estate broker. WCRE is proud to have exclusively represented Transition Pharmacy, LLC d/b/a Transition Patient Services in the relocation of their new 13,843 square foot office and warehouse headquarters located at 2540 Metropolitan Drive in Trevose, PA. Transition Patient Services (TPS) is comprised of a team of pharmacists and recognized health care experts dedicated to improving medication management. As leaders in transition medication management with an average of 30 years experience in retail and hospital pharmacy and pharmacy supply chain management, TPS’ vision is to improve each patient’s transition and help their clients reach their clinical, financial, and organizational performance goals. 2540 Metropolitan Drive is situated in the Metropolitan Business Center and is owned and operated by Metropolitan BC Investors, LLC. TPS chose this location due to its proximity to the Pennsylvania Turnpike and access to all major highways. To get straight to the point, once you find a commercial deal to evaluate, you’ll need to find the answer to this all-important question rather quickly regarding Cash Flow When you are a new commercial real estate investor, you should be well known with fast and easy ways to calculate the cash flow of a potential multi-family or apartment deal. Once you find a commercial deal to evaluate, you’ll need to know, how Much is the Cash Flow? 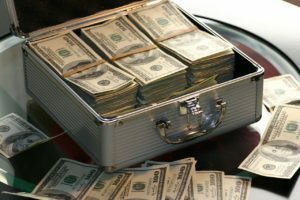 When you are a new commercial real estate investor, you should familiarize yourself with quickie and easy ways to calculate the cash flow of a potential multi-family or apartment deal. Step 1: Get the Income per year Step 2: Get the Expenses per year Step 3: Get the Debt service per year. 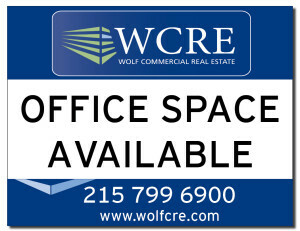 Wolf Commercial Real Estate, a leading Trevose commercial real estate broker that specializes in Trevose commercial real estate listings and services, is now offering premier Trevose office space for lease at 4 Neshaminy Interplex Trevose PA. This newly renovated Trevose office building for lease in the Neshaminy Interplex 4 offers approximately 4,482 square feet of Trevose professional office space for lease. These is just one suite available in this Trevose office building for lease. The asking lease price for this professional office space in Trevose at 4 Neshaminy Interplex Trevose PA is $17.50/sf plus electric. This Trevose professional office space for lease is available for immediate occupancy through Wolf Commercial Real Estate, a Trevose commercial real estate brokerage firm with expertise in Trevose commercial real estate listings and services. This professional office space for lease in Trevose is available as a subleased property with a lease term expiring November 2017. Landscaped courtyards, seating areas and well-lighted walkways are among the many features available to tenants at this Trevose office building for lease in the Neshaminy Interplex 4. This Trevose office space for lease has both lobby and suite signage available to tenants. This professional office space for lease in Trevose is available for lease through Wolf Commercial Real Estate, a Trevose commercial real estate broker that specializes in Trevose commercial real estate listings and services. The Pennsylvania Turnpike and I-95 are located in close proximity to this Trevose professional office space for lease. Parking is ample at this professional office space in Trevose at a ratio of 4.00/1,000 sf. More than 276,000 people reside within a five-mile radius of this professional office space for lease in Trevose The average household income within the same area of this professional office space in Trevose is $78,691. For more information about this Trevose office space for lease in the Neshaminy Interplex 4 at 4 Neshaminy Interplex Trevose PA or about other Trevose commercial properties for sale or lease, please call 215-799-6900 or Jason Wolf (cell 215-588-8800; jason.wolf@wolfcre.com) at Wolf Commercial Real Estate, a Trevose commercial real estate brokerage firm. Wolf Commercial Real Estate is the leading Trevose commercial real estate broker that provides a full range of Trevose commercial real estate listings and services, marketing commercial offices, medical properties, industrial properties, land properties, retail buildings and other Trevose commercial properties for buyers, tenants, investors and sellers. Please visit our websites for a full listing of Trevose commercial properties for lease or sale through our Trevose commercial real estate brokerage firm. 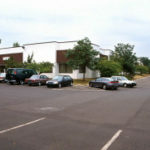 Wolf Commercial Real Estate, a premier Trevose commercial real estate brokerage firm with expertise in Trevose commercial real estate listings and services, now has available prime Trevose office space for lease in the Neshaminy Interplex Business Center at 4 Neshaminy Interplex Trevose PA. There is one suite at this Trevose office building for lease at 4 Neshaminy Interplex Trevose PA of approximately 4,482 square feet of Trevose professional office space for lease. This office space for lease in Trevose at 4 Neshaminy Interplex Trevose PA is a subleased property with a lease term that expires on November 30, 2017. The asking lease price for this professional office space in Trevose in the Neshaminy Interplex Business Center at 4 Neshaminy Interplex Trevose PA is $17.00/sf plus electrical and janitorial. This Trevose office space for lease is being offered by Wolf Commercial Real Estate, a Trevose commercial real estate broker that specializes in Trevose commercial real estate listings and services. This office space for lease in Trevose has onsite ownership and management. This professional office space in Trevose is in walking distance to restaurants and food services. The 274-room Radisson Hotel is nearby this Trevose professional office space for lease at 4 Neshaminy Interplex Trevose PA. There is a child care center and Interplex Fitness Center at this professional office space in Trevose from Wolf Commercial Real Estate, a Trevose commercial real estate brokerage firm that specializes in Trevose commercial real estate listings and services. This Trevose office space for lease is located in close proximity to I-95 and the Pennsylvania Turnpike. For more information about this Trevose professional office space for lease at 4 Neshaminy Interplex Trevose PA or about other Trevose commercial properties for sale or lease, please contact Jason Wolf (856-857-6301; jason.wolf@wolfcre.com) at Wolf Commercial Real Estate, a Trevose commercial real estate broker. Wolf Commercial Real Estate is the foremost Trevose commercial real estate broker that provides a full range of Trevose commercial real estate listings and services, marketing commercial offices, medical properties, industrial properties, land properties, retail buildings and other Trevose commercial properties for buyers, tenants, investors and sellers. Please visit our websites for a full listing of Trevose commercial properties for lease or sale through our Trevose commercial real estate brokerage firm.